There is always that lull during the Thanksgiving break. There’s the morning of-where everyone is rushing around or watching their preferred event on TV. Then of course there is a massive lunch or early dinner for the entire family. Then from there….there’s always that family Thanksgiving lull. Some people go shopping, some people go to the movies, but no matter what you still have to entertain your guests or family for another few days. Maybe this is the year where you want to conserve your family spending or at least spend more quality time with family! So here are a few outdoor family games to keep your crew moving and enjoying the time together. 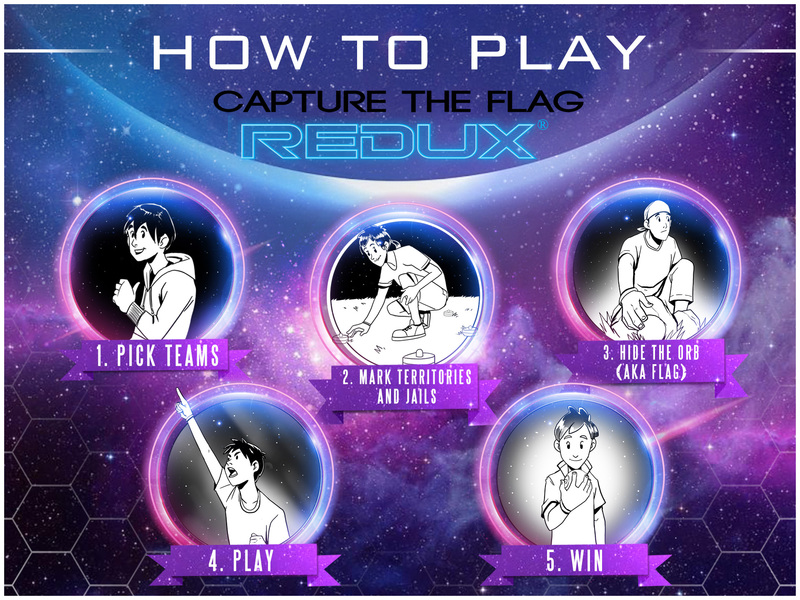 So let’s just dive right in and start with Capture the Flag REDUX. 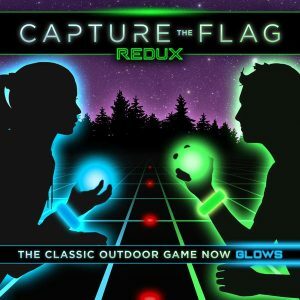 A great game to get everyone in the family outside and participating. Not only is this game set up for all ages, but it’s simple to setup, easy to play, and something that can easily entertain for hours. Another idea is horseshoes. Another simple setup where you just need to drive to stakes into the ground and secure some horseshoes. The rules are easy to follow: points for every horseshoe that goes around a stake. Each family seems to have their own versions or own made up rules so you could also start some of your own. Ever heard of Spikeball? It is a cross between four square and volleyball, and sets are sold online. To play, smack the palm-sized ball onto the net which is a square on the ground, so it bounces back up toward your opponent. The player then tries to slap it back down into the net and over to you. When a player misses, the other scores a point. The first one to 21 wins! There is also the all American go to: touch football. Have the family divide up into two teams. You are tackled if you are tagged twice. Our family always elected the strongest athlete to be the “all time quarterback”. This person will throw for both sides and keep things a bit more fair. Thanksgiving family games should be about bonding and getting outside to enjoy some of the crisp Fall air. Plus, everyone will need to run off that big meal! 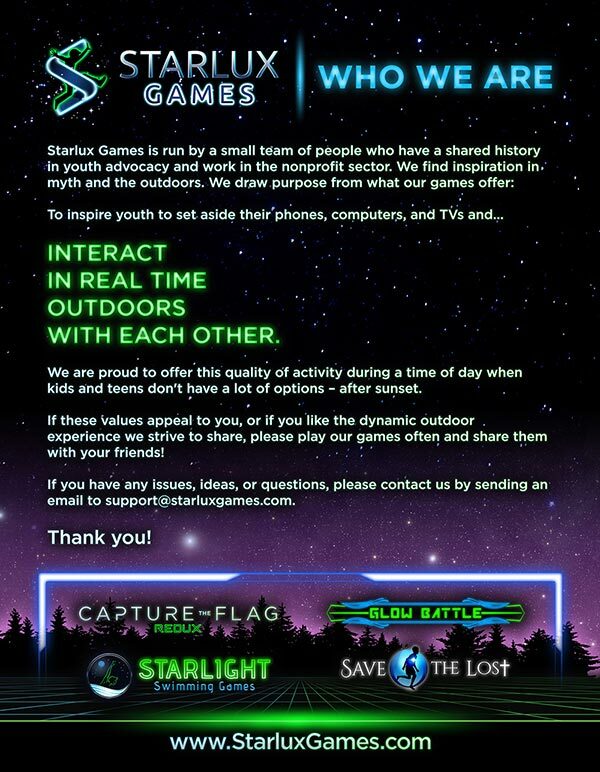 That’s why we love our game Capture the Flag REDUX. It brings together exercise and fun so you can enjoy a game that incorporates all generations. This year maybe we should all focus less on Black Friday shopping and going to the movies, and more on spending time outside and enjoying one another.